Mouse over image to pause the slideshow. 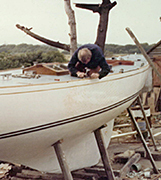 Loughborough Marine Interests (LMI) specialize in the refit, restoration, and “custom situations” of storage for Racing sailing programs, with special focus on classic or vintage wooden yachts. 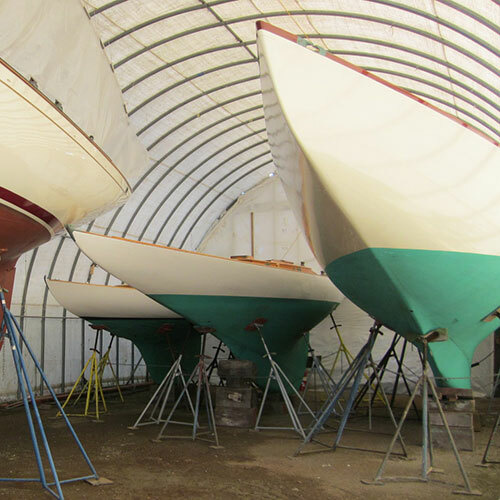 Located in Portsmouth, Rhode Island, a 12,500 sq ft main shed with 3 additional refit/storage sheds storing on average 30 boats inside. 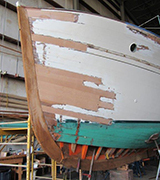 A dedicated refit bay is currently accommodating a major restoration of Kirawan, a Philip Rhodes 53ft LOA, 7/8 sloop (1936 Bermuda race winner). 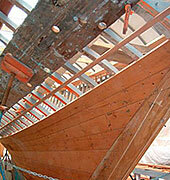 She is receiving a new wood keel, stern post and horn timber, new decks, interior, new spars, engine and systems. Outside we have hard standing accommodations for boats up to 60ft, with hauling and launching services provided by Hinckley and our 40 ton Brownell Trailer. 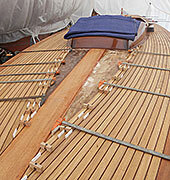 Additionally we offer a modern composites division, and Race coach and program co-ordination. 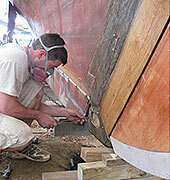 Are you looking for a high level of maintenance or possibly a refit or restoration and asking who can I trust? LMI is an extremely flexible facility, with access to an elite group of sub-contracted specialists, where you can get as much or as little as fits your program. 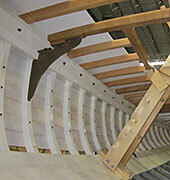 Storage and maintenance our basics, restoration and refit our forté. 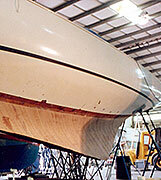 S&S Dorade 2nd USA refit and new rigs See Gallery.